Thanks to our New Backpack Buddies Packing Hosts ! 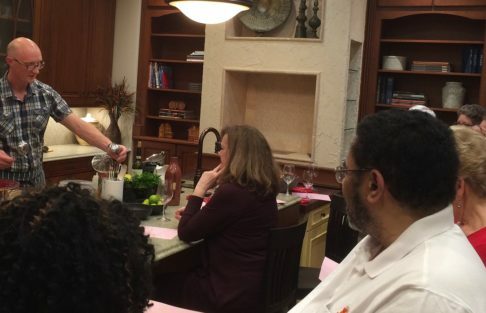 Chef Daniel Taylor shares the mysteries of an authentic bouillabaisse stew, at our 2018 Taste of Valentines fundraiser. Sunrise Rotarians preparing breakfast for patients and their families at SECU Family House. What are you up to this afternoon ? How about feeding thousands of people ? 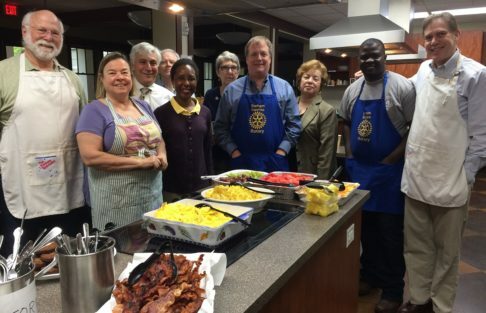 Of the several wonderful Rotary clubs in Durham and nearby Research Triangle Park, our Durham Sunrise Rotary Club stands out. Yes, we are a breakfast club, even though we’re not all morning people ! We’ve built a reputation in our community and across the district, summed up as follows: we’re small, friendly, diverse and active. 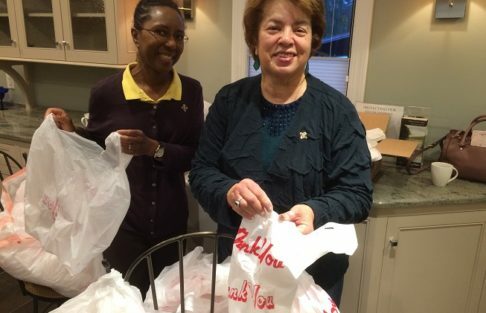 From our founding in 1990, when women were not yet a commonplace in Rotary, we’ve always been open and welcoming to anyone interested in the pleasures of fellowship, and the rewards of service to others. And despite our smaller membership, we get more done than clubs several times our size. 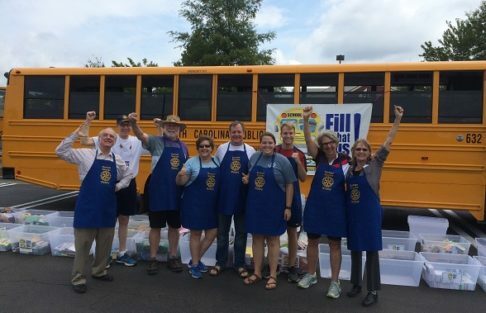 Whether it’s helping the less fortunate in our community, supporting the education of our future leaders, or preparing thousands of meals for families overseas — if you would like to make a difference, and to have fun doing so, maybe we are a group for you ! 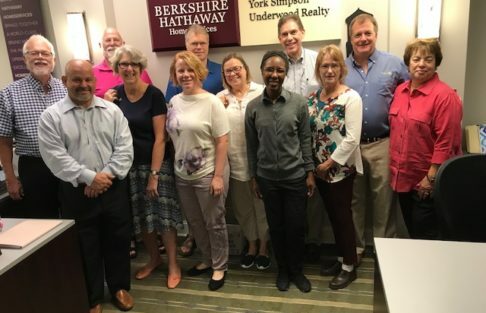 Come join us for a breakfast meeting (most Wednesdays, at 7 AM) — we’d love to meet you ! 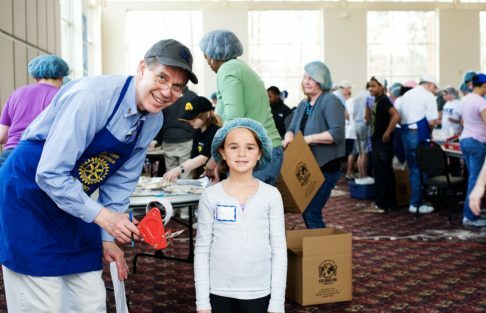 Rotary is a global network, over 110 years old, comprised of 1.2 million neighbors, friends, leaders, and problem-solvers who come together to make positive, lasting change in communities at home and around the world. 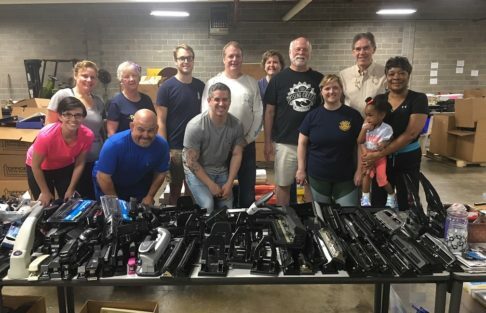 Through our mission of Service, we will be a dynamic, diverse, friendly, growing, and high-achieving club, whose projects enrich the lives of our members and of others in our community and far beyond. Is it beneficial to all concerned ? Will it build good will and better friendships ? © 2019 Durham Sunrise Rotary Club. All rights reserved.